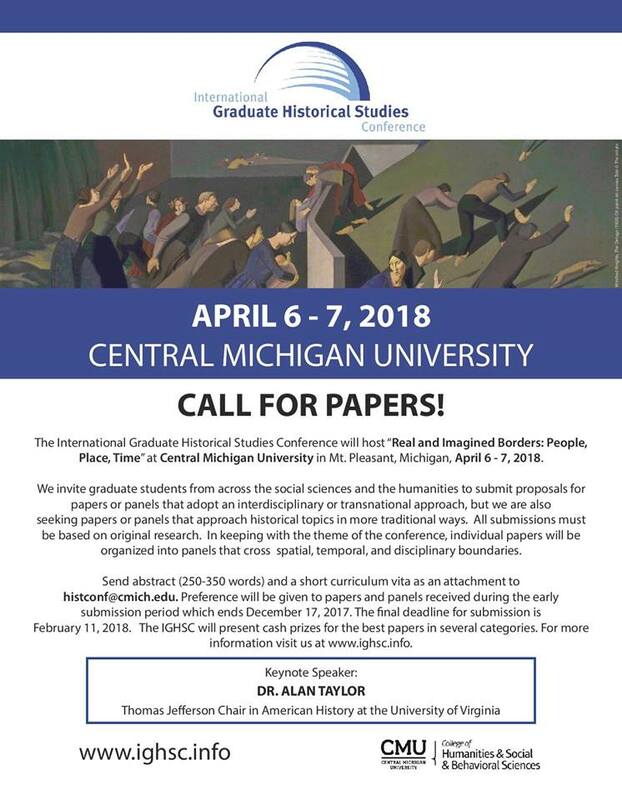 The history department is proud to again host the International Graduate Historical Studies Conference this spring. The theme: Real and Imagined Borders: People, Place, and Time encourages presenters to offer papers that are transnational and/or interdisciplinary, but all traditional submissions are welcome. We look forward to this event. Visit www.ighsc.info for more information or questions.